A recent study found there were 1.3 million amphetamine-related U.S. hospitalizations—mostly involving methamphetamine—between 2003 and 2015. The highest frequency of hospitalizations occurred in the western United States. Amphetamine-related hospitalizations soared 245 percent from 2008 to 2015, the study found. 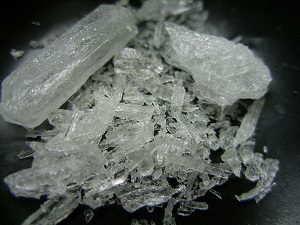 Law enforcement authorities say that as opioids become harder to obtain, more people are turning to meth, which is cheap and easily available. Earlier this year, the National Institute on Drug Abuse estimated that more than 10,000 people died of meth-related drug overdoses in 2017.